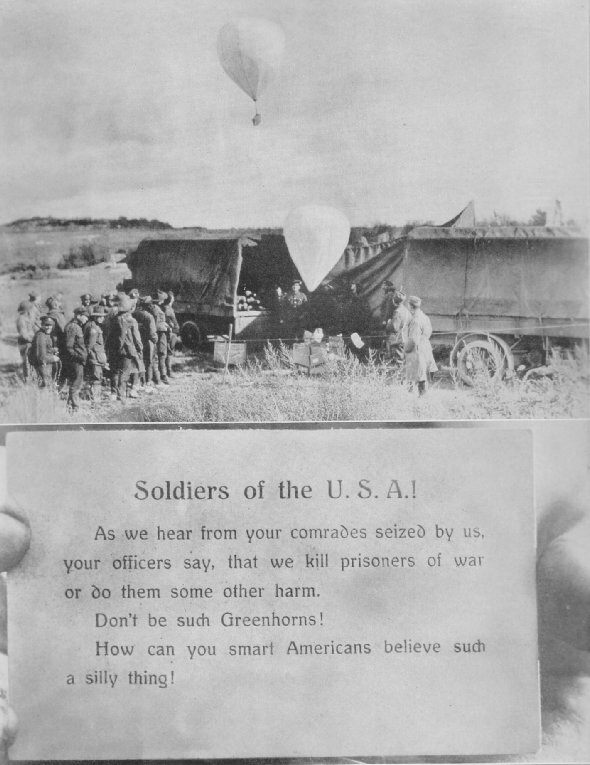 "GOD IS ON THE SIDE OF THE STONGEST BATTALIONS"
The upper picture shows the Allies sending propaganda to the Germans; the lower, propaganda received by Americans from the Germans. It had little effect. Wars are not won that way. But everything else was triedso why not?